High Impact Golf Practice Barrier Net is a commercial grade golf netting is made from the durable #18 Twisted Knotted Nylon netting. It is UV and weather treated to last year round indoors or outdoors. 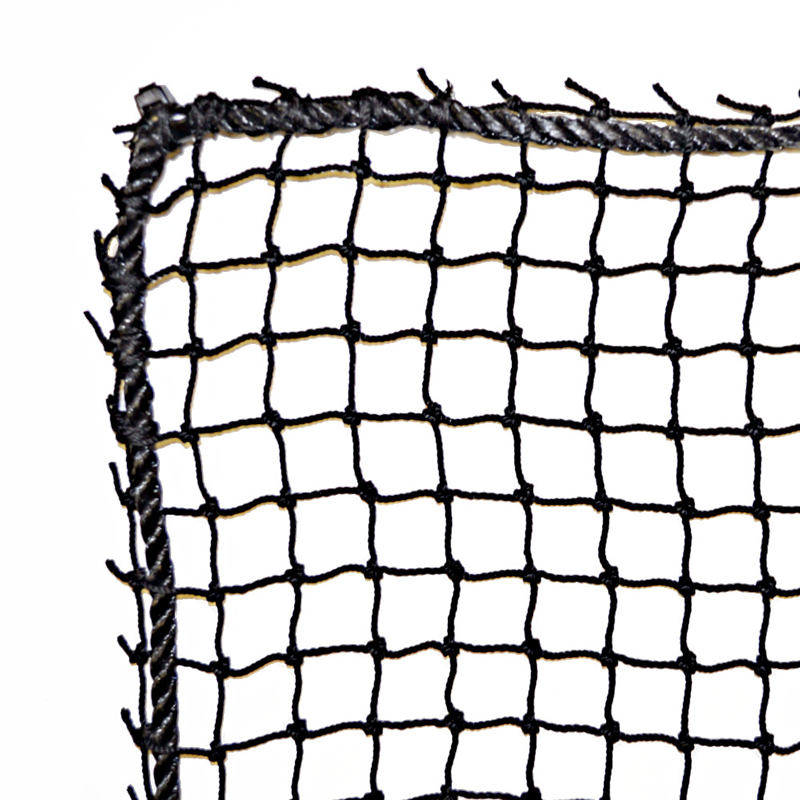 The 3/4″ square mesh will stop high impact balls from passing through including those hit by drivers. 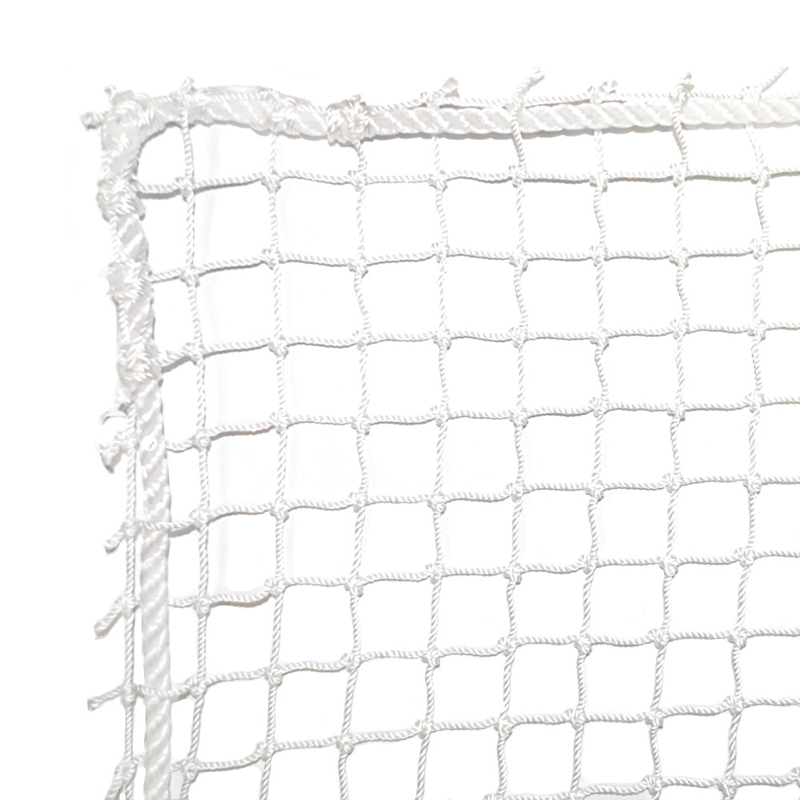 Each net will be reinforced with a 1/4″ rope border with a spring clip at each corner. High Impact Golf Practice Barrier Net is a long-term investment that need to be multi-purpose in function and high performing by design. Athletic directors, facility managers, coaches and administrators alike find that sports netting systems are ahead of the game when it comes to solving multiple issues – athlete safety, spectator protection, and property damage prevention. Adjoining fields can benefit from BallStopper netting systems by preventing ball interference between simultaneous games or practices. All premium BallStopper sports netting systems are fabricated with rugged aluminum uprights and bases, and UV-treated, heavy-duty nylon netting. AAE has versatile solutions for your sports field needs with permanent, semi-permanent and portable protective sports barrier net options.